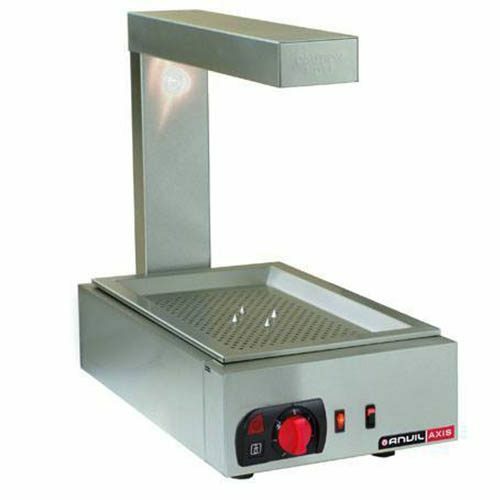 Commercial Chip Warmer designed to hold, serve & display cooked fried chips. 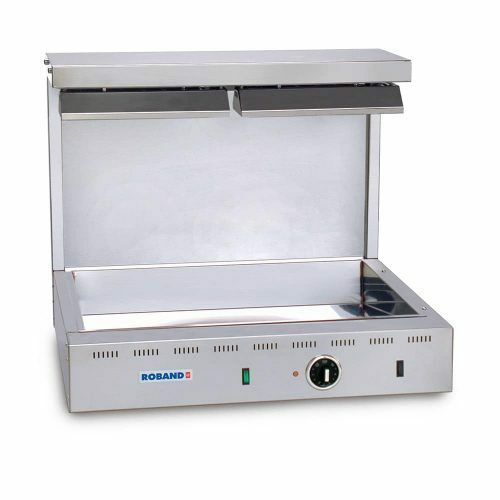 Heating from above & below maintains chips at correct serving temperatures after all. 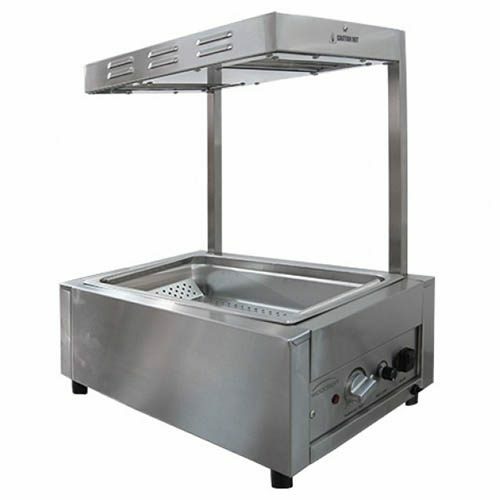 Also, allows fryer baskets to immediately returned to the fryer for the next batch of hot chips.